Do you hate those GOLD bowties on your 2010-2014 Camaro? 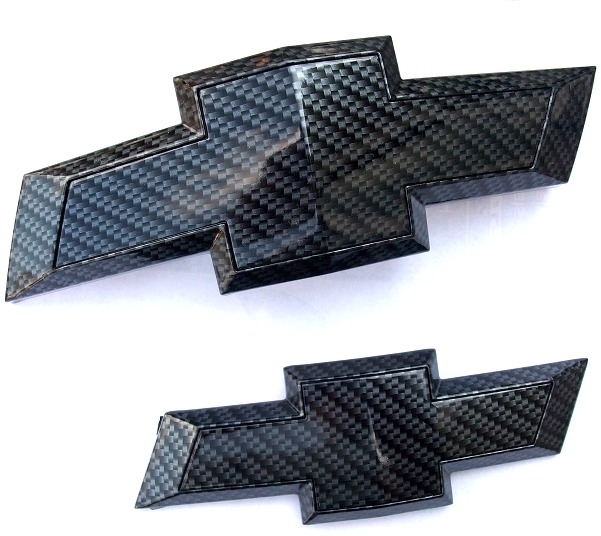 We did, and came up with these carbon fiber OEM replacement emblems. These 2010-2014 Camaro Emblems are hydro carbon finished. Each emblem is finished in hyrdro carbon and polished to a glossy smooth finish. Finish comes with a 4 year warranty. PLEASE NOTE: THESE WILL NOT WORK ON ZL-1 AND Z/28 CAMARO CARS!! Please select options below. These can be solid carbon fiber, or carbon fiber inside only with black edges. This item is custom painted to order and requires additional time to paint and ship. Please refer to current painting time on main website page" These are sold as a set, one front and one rear emblem.